The Caucasus is right at the border between Europe and Asia. Georgia, Armenia and Azerbaijan where the last European countries that AEGEE expanded to – almost 20 years after the founding of the association. 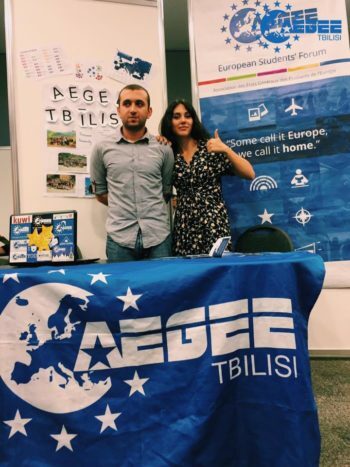 Since 2004 AEGEE-Tbilisi is part of the network. Today, we cannot imagine the network anymore without this great antenna. In the sixth segment of the Golden Times series “AEGEE on the edge of Europe” AEGEE-Tbilisi’s PR and Project Manager Mariam Cheghelidze told us more about her antenna. 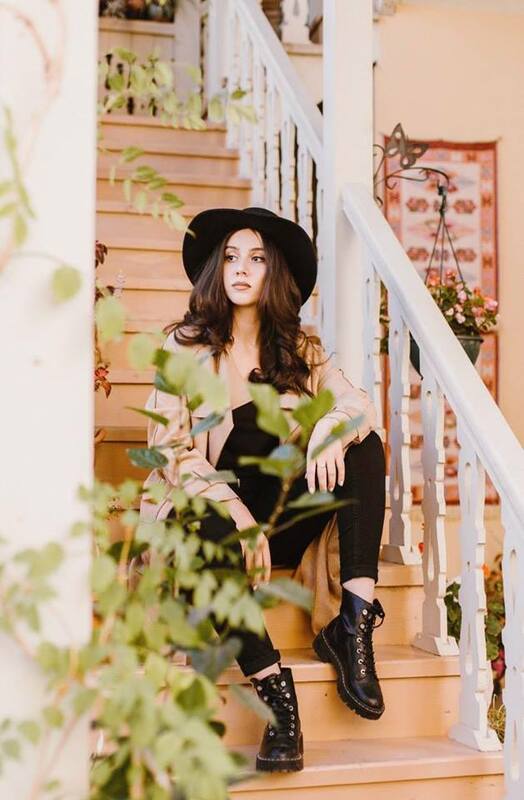 Mariam Cheghelidze: The board of our antenna discussed this question and to our mind the students living in Georgia are European-minded at 9 from 10, but as for old generation we can estimate it as 5 from 10. 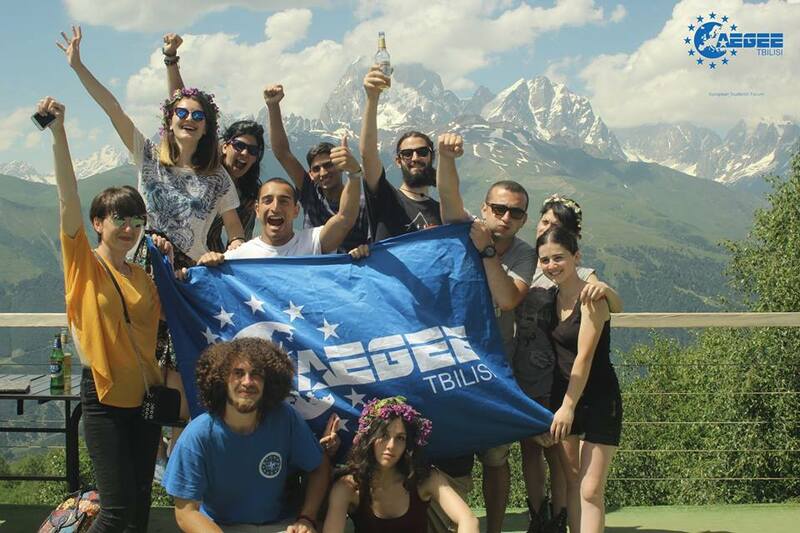 Mariam: AEGEE-Tbilisi was founded on the 24th of April in 2004 and it was the first local in Southern Caucasus. Nowadays we have around 50 members and 20 are really active members. Mariam: It is not that hard to find members. It is difficult to keep them on a very active level. Mariam: “Do you think that AEGEE sounds nice, but all the events are far away? Do not worry, because there are direct flights that Wizzair offers!” It is a really interesting question, I remember I had this question on the beginning stage of my membership, but then everything came by itself when I met so many people from many different countries and distance turned irrelevant for me. So I will tell them that “AEGEE gives you so sweet, special moments, friends of your life and gives you opportunities to be member of a big international family, so you won’t even think about kilometres”. 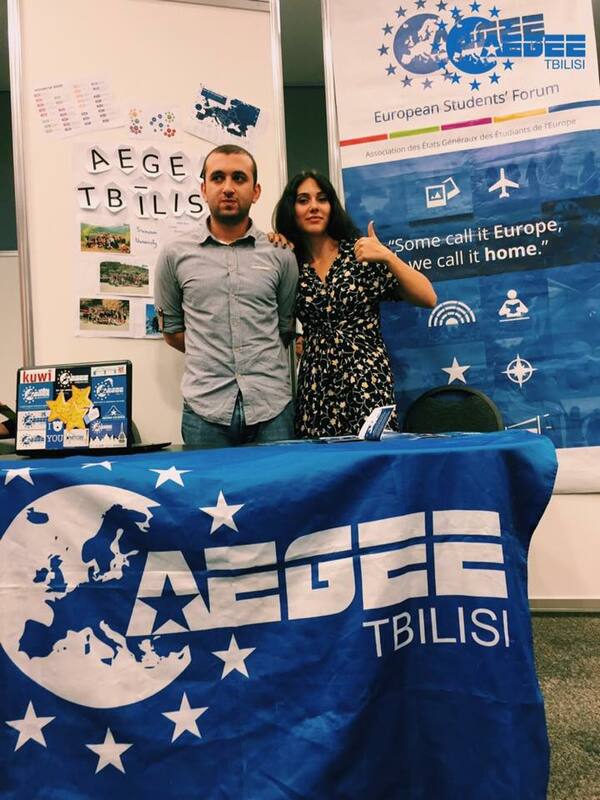 AEGEE-Tbilisi exchange with AEGEE-Eindhoven in 2017. Mariam: It really depends but you can find flights to Berlin for around 50 Euros without luggage and maybe around 80 Euros to Vienna. GT: Is getting visa for events a big problem for your members? Mariam: Nowadays it is not that much of a problem for Georgian people because of visa liberalization. GT: Are there also positive aspects from your geographical location? If yes, which ones? Mariam: There are many positive aspects from Georgia’s geographical location. We are really proud of it! Georgia is not a very big country, it is only 69,700 square kilometres, but at least on this very little land you can enjoy high mountains – the highest mountain in Shkhara has 5193 metres – and the sea all at once! Georgia is a good example of mixed cultures, religions and traditions living in one small place; it gives people a diverse and strong character. Last but not least we are really proud for our fantastic nature: sea, forests and rocky mountains are gathered in one small country. 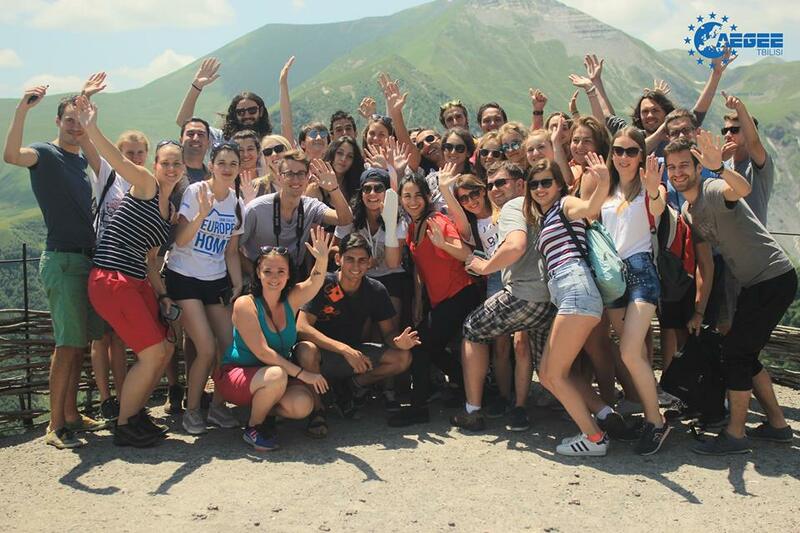 AEGEE-Tbilisi’s Summer University in 2017. Mariam: Per year approximately 60 foreign members attend our projects. 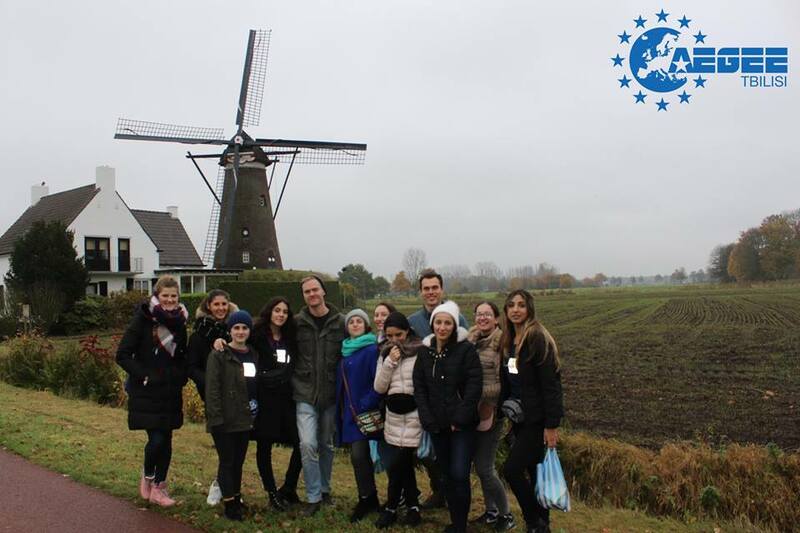 Mariam: In 2017 we cooperated with AEGEE-Eindhoven and organized an exchange programme in both countries. In 2018 we are cooperating with AEGEE-Yerevan for a pre-EPM event. Mariam: Our Winter University takes place from 7 to 15 February, the pre-EPM event from 4 to 7 March and then we also have a Summer University! Mariam: We often wish to have the chance to go by train for two or three days and attend conferences or just to travel to European countries, but… despite of this, when foreign participants come here, we realize how interesting our country is for them. Being on the edge of Europe gives us something special. Check out the complete series “AEGEE on the edge of Europe”!